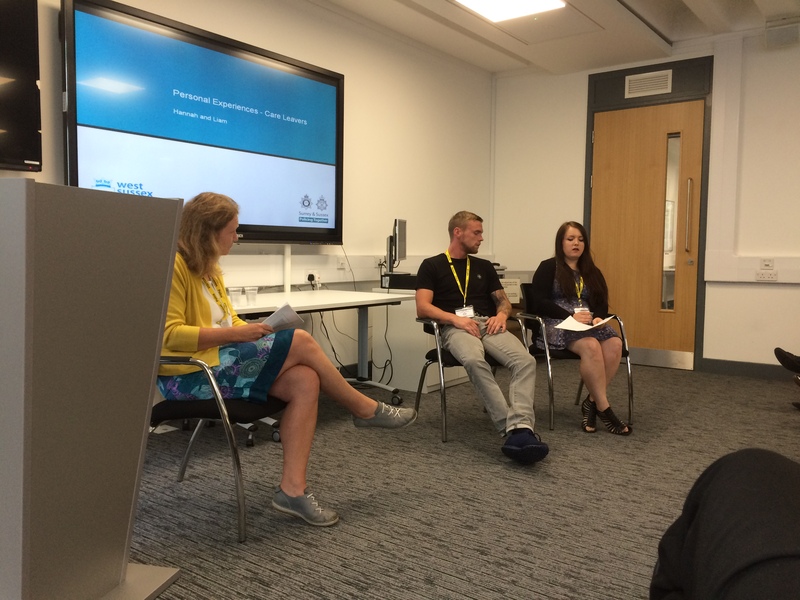 Two carer leavers gave a presentation to police staff at Sussex Police headquarters as part of their Time to Think briefing. This was an opportunity for care leavers to talk about their own experiences in care and also their experiences with the police. Liam: I thought the presentation went really well and there was lots of good questions that the people came back with. It is good to know that there is a team in the police who set this meeting up and want to make changes. Being able to tell my own real life story has helped to broaden their minds about how to deal with young people in care and how they manage future call out’s particularly when called to a children’s home. I was able to give them some ideas about how to support young people in similar situation to us – feel’s good! Today has been a great experience and a big step forward in the progression of positive police engagement with young people in care and care leavers. It feels good to have been part of this, and I now want to have more engagement and be more involved and develop a relationship with the police and how we can help them to support young people better. It was good to be invited to the MASH briefing to see how the police work in a multiagency. It was good to hear the police have already made changes to the training content for when they deal with sexual abuse cases and support the individuals better.